Generaladmiral and Chief of the Navy Weapon Office with the High command of the Navy. 31-05-1976 old age 91, Berlin. Waldfriedhof Zehlendorf in Berlin, Field 22-grave 533. Witzell, Karl, born 18-10-1884, in Hiersfeld near Wesel, joined the Empire Navy, as a Sea Cadet on 01-04-1902, age 17 and had his training on the school ship SMS “Moltke” . He served for several years as a Company leader and Adjutant with the Matrosen Artillerie-Department. At the beginning of the first war he as a Kapitän Leutnant, III Artillerie Officer served on the Grosslinienschiff SMS “Oldenburg”. Transferred as a Artillery Officer to the small cruiser SMS “Elbing” on 04-09-1915, age 30 and involved in the battle for Skagerrak and temporary the transferred on 02-06-1916 to the small cruiser SMS “Frankfurt” . He became the 1st Officer on the SMS “Graudenz” on 01-09-1916 and stayed there till the end of the war. He was allowed in the new Reichs Marine and on 29-06-1920, age 35, promoted to Korvettenkapitän and assigned as Leader of the weapon department with the Naval Command. 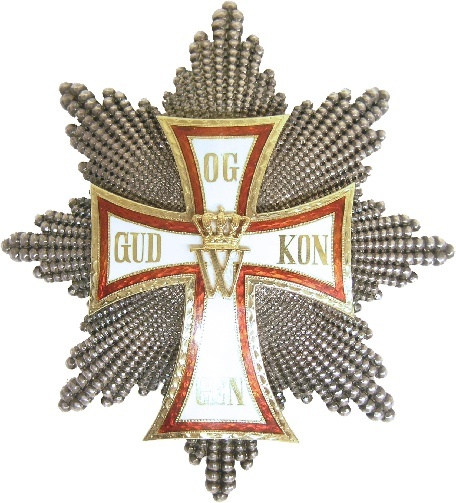 Promoted to Fregattenkapitän on 01-04-1927, Kapitän zur See on 01-12-1928 and Konteradmiral on 01-09-1933. With the start of World War II he was appointed to Chief of the Navy Weapons Office with the High command of the Navy on 07-11-1939. Promoted to Generaladmiral on 01-04-1941 he on 31-08-1942 retired from the service and in the Führer Reserve of the Navy from 01-10-1942, but never got another command. In spite of being retired from the Army Witzell still landed in Russian captivity in Mai 1945 and condemned to 25 years imprisoned for war crimes on 25-06-1950 by the Military Court. He relieved on 07-10-1955 returned to Germany and was one of the founders of the cooperative group for defending techniques. Death and burial ground of Witzell, Karl. Living in Berlin Karl Witzell died at the very old age of 91 on 31-05-1976 and is buried with his wife Lucie, born von Limont, who died age 78 on 26-09-1966, on the Waldfriedhof Zehlendorf in Berlin, Field 22. Close by the graves of the Generalmajor der Wehrmacht, Inspector of Motor Vehicles, Friedrich Starke, Generalleutnant der Artillerie, Commander 265th Infantry Division, Hans Junck, there is a memorial to the 265th Rifle Division in the village of Sofrino on the Karellan Isthmus and Generaloberst der Flieger, the most decorated General of the former Luftwaffe, commander Luftflote 1, Air Fleet I, Alfred “Iron Keller” Keller. Also buried there is chancellor Willy Brandt. General Hans Junck who surrended to the American forces, was taken prisoner by the French and was brought before a French court for war crimes. On 19-09-1947, he was released and released on 15-03-1948 from captivity. and died age 73 on 28-11-1966 in Berlin Zehlendorf.